5" in width (including the base) and are 2 5/16 " tall. 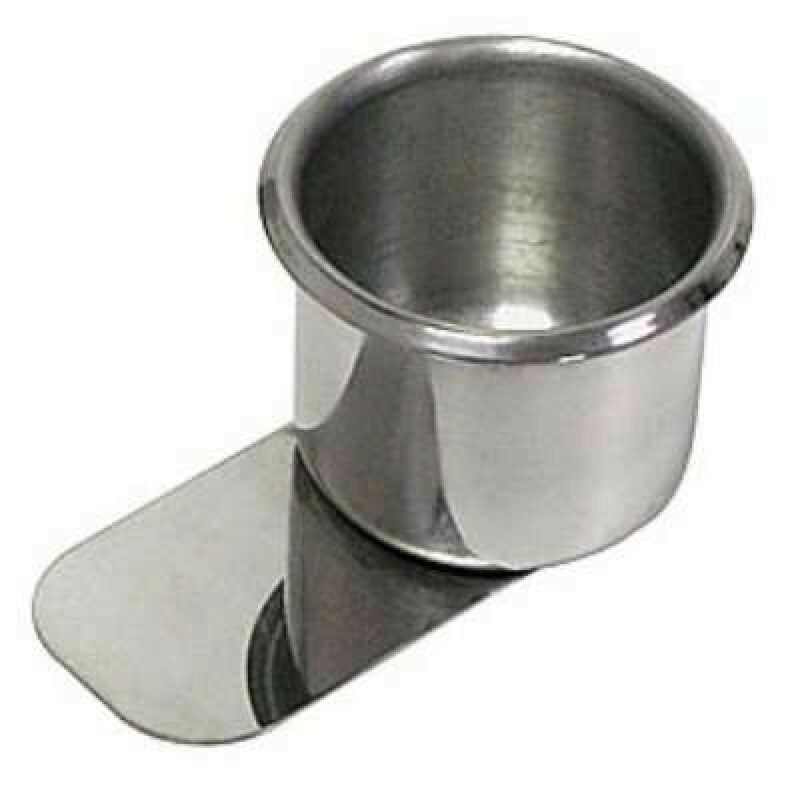 The cup portion is 3 3/16" in diameter. 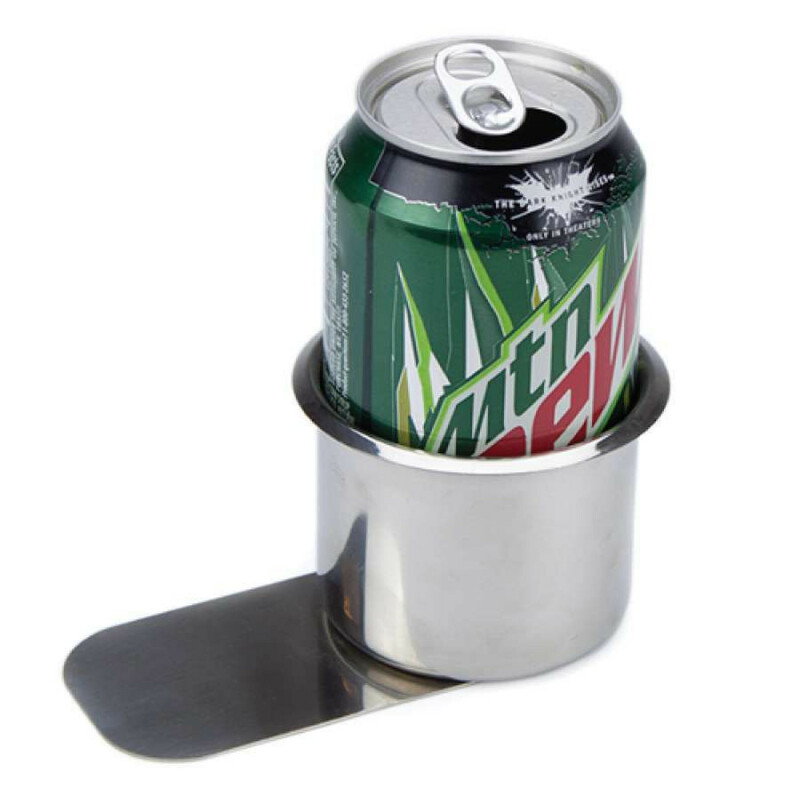 Standard cans and bottles fit perfectly into these cup holders. Just like the pros use, these "Vegas Style" cup holders keep your drink secure. The classy stainless steel won't rust, is very durable and your players will appreciate you having them. 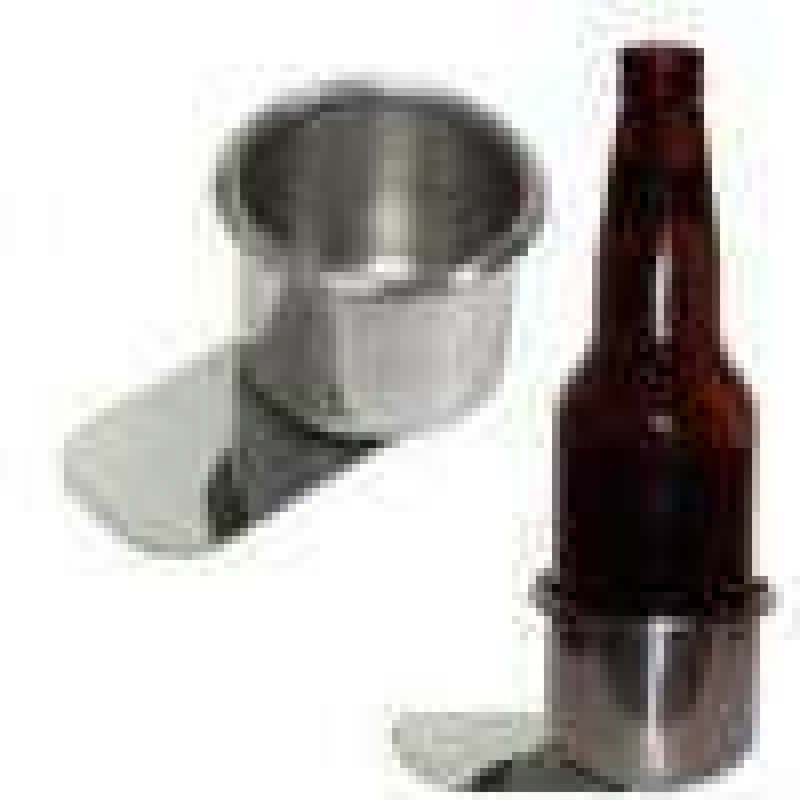 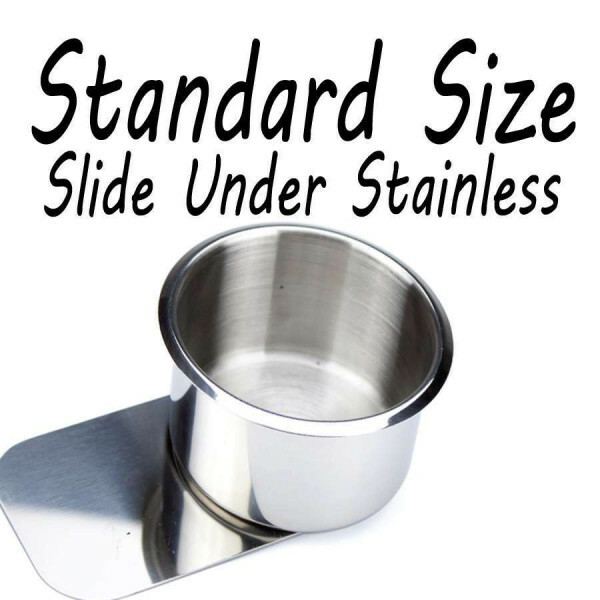 These stainless steel slide under cup holders measure nearly 5" in width (including the base) and are 2 5/16 " tall. 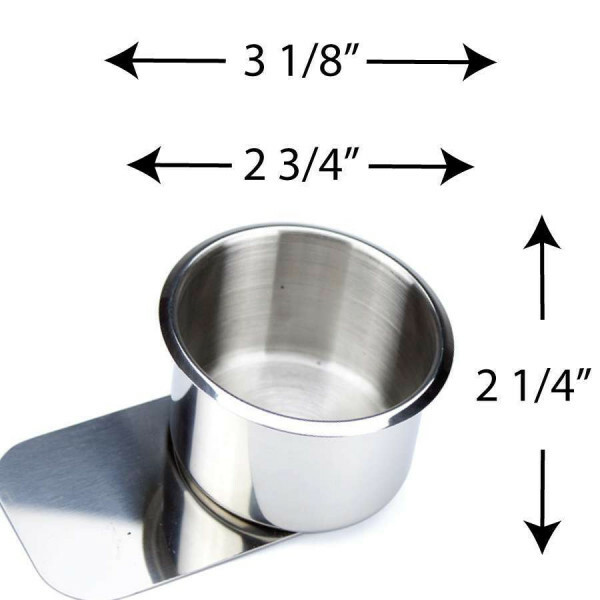 The cup portion is 3 3/16" in diameter. Standard cans and bottles fit perfectly into these cup holders.